Back to school, back to stress. For those tasked with shopping for supplies, coordinating carpool and acclimating children to an earlier bedtime, gearing up for back-to-school is no easy feat. As summer comes to a close, now is the perfect time to be proactive. Recall the back-to-school obstacles your family faced last year. Were your countertops covered in paperwork? Did the bathroom become a battleground between siblings? Did you have to replenish supplies often? Many of these and other hiccups in the back-to-school routine can be avoided if your household is prepared. The tips below will help you organize the areas in your home most frequented during the school year. 1. Set up a master calendar. When school is in session, it’s important for parents and children to stay in the know. Select an accessible room or area to house a bulletin, white or fabric board large enough to accommodate everyone’s schedules – near the front door, in a hallway adjacent to the bedrooms or on the side of a kitchen cabinet, for example. Set up an easy-to-read master calendar, color-coded by family member, and include extra-curricular activities, lunch menus and assignment deadlines. 2. Establish a filing system. One of the biggest clutter culprits during the school year is paperwork. To keep paper piles to a minimum, establish a filing system that works for you and your family. No time to purge papers when you walk in the door? Temporarily stow them in a strategically placed basket and revisit them later in the evening. Can’t be bothered with non-urgent items? Sort permission slips, fundraising flyers and other items requiring immediate attention with accordion files or magazine holders, and reserve a slot for schoolwork you wish to keep. Whatever your method, make it sustainable for the entire school year. 3. Clean out closets. Backpacks, lunchboxes, coats, sports equipment and other bulkier items also tend to accumulate during the school year. 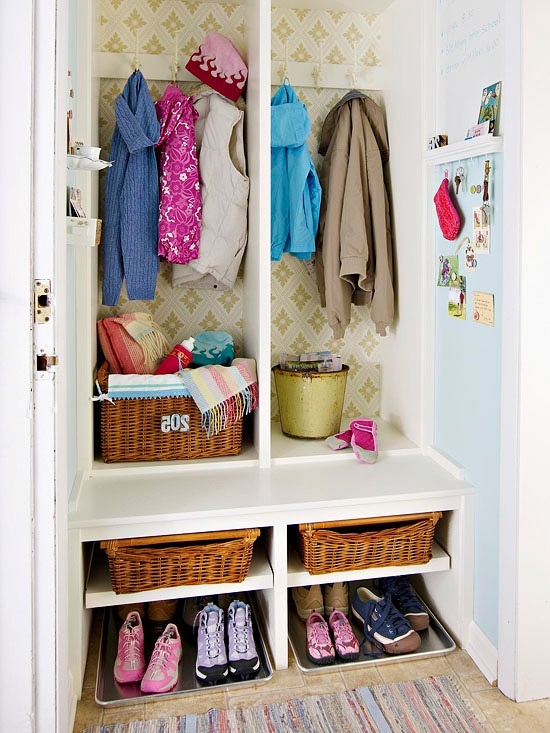 To avoid obstructing foot traffic or delaying the morning routine, clean out the coat closet from top to bottom. Set clearly labeled storage bins on the floor so children can drop off their belongings with ease, and use an over-the-door organizer to store shoes or hats. 4. Designate a homework station. Misplaced or forgotten homework is often a sign of disorganization. To ensure the best possible learning environment at home, create a homework station designed to minimize distractions. Whether homework happens in a child’s bedroom, the kitchen or a repurposed nook, keep the essentials handy: writing utensils, erasers, a calculator, dictionary, ruler, etc. Place a trash can nearby and use a caddy with a handle to stash supplies in a snap. 5. Create a snack stop. What’s homework without an after-school snack? 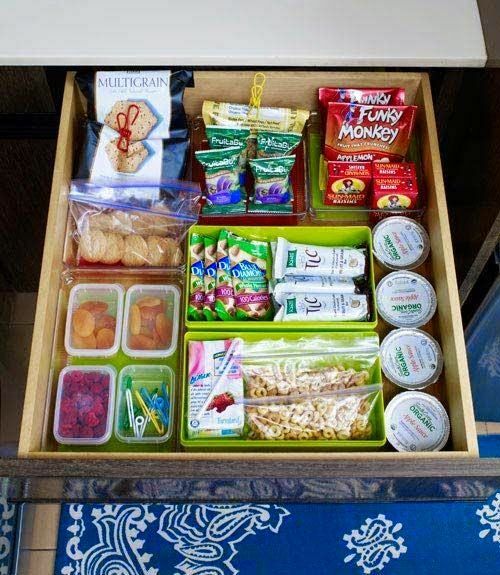 Set up a snack stop in the pantry (or other cabinet within reach) with stackable drawers, slide-out shelves or Tupperware filled with energy-boosting treats, like popcorn, trail mix and whole-grain pretzels or crackers. The best part? The snack stop comes in handy when it’s time to pack lunches, and for grab-and-go breakfasts on chaotic mornings! Author Bio: Suzanne De Vita is RISMedia’s online associate editor. 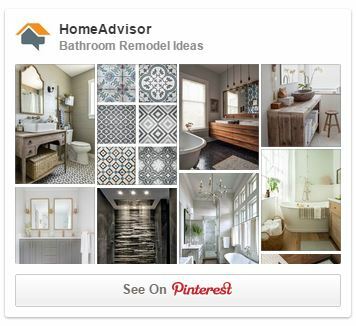 For more real estate trends and tips, visit RISMedia’s blog, Housecall. Setting Your Thermostat: Fan On or Auto?